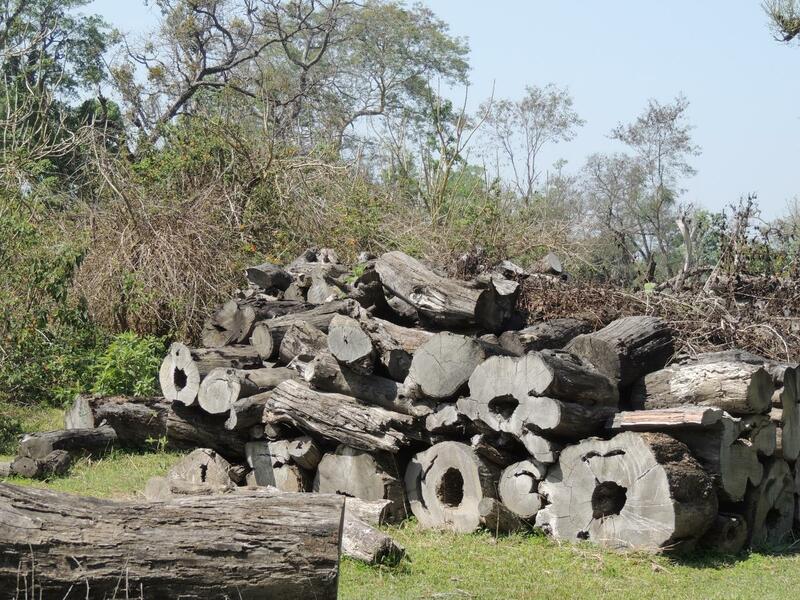 In 2010 the Government of Nepal introduced a scientific forest management approach to the lowland Terai region. This approach seeks to enhance the productivity of forests by removing over-mature trees and promoting regeneration. The government expects to generate about 300 million USD annually after the implementation of this plan. This is many times higher than the current contribution of the forestry sector to the national economy. However, the implementation of this new strategy has created confusion among the communities that depend on these forests. In the past the government encouraged them to collectively manage the forests in a sustainable manner: the forests represent three decades worth of efforts of community volunteers. Why would the government suddenly change course and advocate chopping down the forests instead? The Federation of Community Forest User Groups of Nepal (FECOFUN) suspects that the government is trying to gain control over the forest resources conserved and managed by local communities. Forest Officials that I spoke to say that this is not the case. They say that the change in management approach was necessary given that Terai forests are different from forests in other parts of the country. Terai forests have many old standing trees that are green but hollow inside. Indeed, local newspapers named these forests as Forest of Hume Pipes. These trees sequester little carbon and have limited economic value. The officials claim that delaying the harvesting of mature trees will only lead to greater loss of money. This is why the scientific forest management approach has been introduced. In the past, when forest degradation was a grave threat, the management approach emphasized protection. Now, these forests are healthy and mature. Harvesting old trees will not destroy the forests, but provide space for new seedlings grow. The systematic harvesting is expected to contribute to the local as well as national economy. The Charpala Community Forest User Group of Rupandehi has been implementing the scientific forest management plan during the last three years. The Chairperson of the group told me that the new approach has increased their income by four times. Cutting down the green trees was not a pleasant experience at first, but now the group is happy because new seedlings are coming up everywhere in the harvested area. Scientific forest management is not an alternative to the sustainable management of forests practiced by local forest users. Instead, it is a vehicle to achieve the goal of sustainable forest management. The government needs to communicate this message to the local communities and, if needed, engage in a dialogue with them to build confidence.